This really, really should be turned into a toy and work the way Manto di Zannastrale does (just replaces your headgear visually, no need to unequip anything). You can’t buy it with Emblema d'Amore, you can’t transmog it outside the actual holyday. 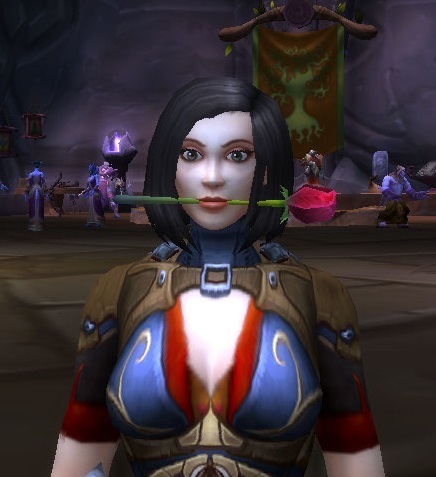 I’ve tried for years now and it dropped for all my toons except the one I want to have it on.